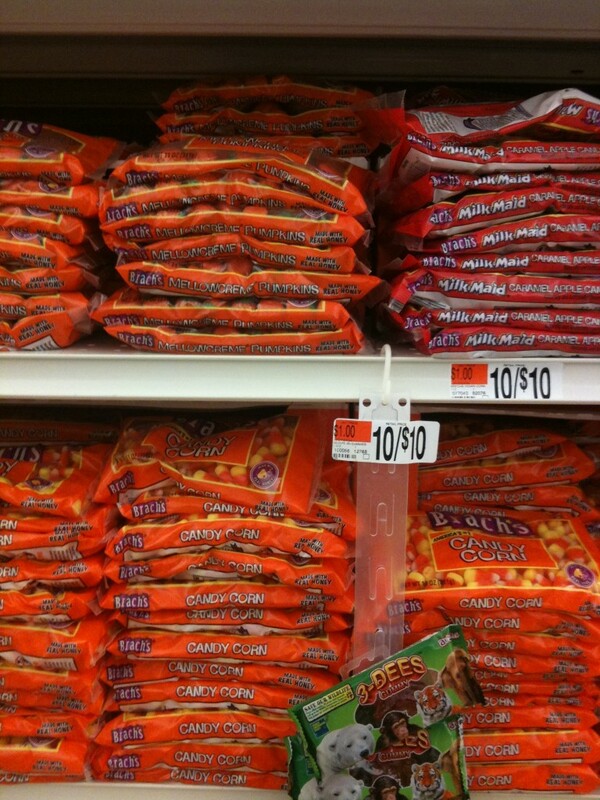 My two favorite candies (I have a sweet tooth, not good for my mid-section goals, lol) were on sale at Giant. $1 per bag – WHAT!? I put them in my cart, but after traversing a couple aisles and picking up the healthy and delicious foods I normally get (chicken, turkey, milk, eggs, etc…) – I decided to put the candy back. All it takes is the right combination of spices. I do admit that cooking and cleaning take time and resources, but I think that if you enjoy cooking and cleaning up after yourself, then it’s absolutely worth it. Anyway – I’m 50/50 – I love eating out because the food is delicious, but I also want to be healthy (aliment free) and live for a loooong time… so I tend to cook more often. 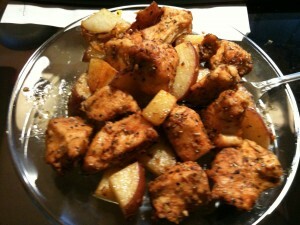 Ok, maybe the potatoes aren’t the best part, but it sure was yummy! I admit, I’m a chicken guy – I definitely prefer chicken with the right spices and/or sauce over a hamburger. (don’t get me wrong, love a steak, especially filet’s and top cut sirloins). One word: Costco. When you’re witnessing in the video above is frozen chicken breasts and chickpeas.. both from Costco. When combined.. the most delicious concoction is created! All and all, super delicious.. AND did I mention: HEALTHY! Spices are awesome because at worst, the have sodium – but they don’t have fat or carbs (the two things that make you.. well, fat). I love cooking.. it’s fun, delicious, and can be healthy at the same time! 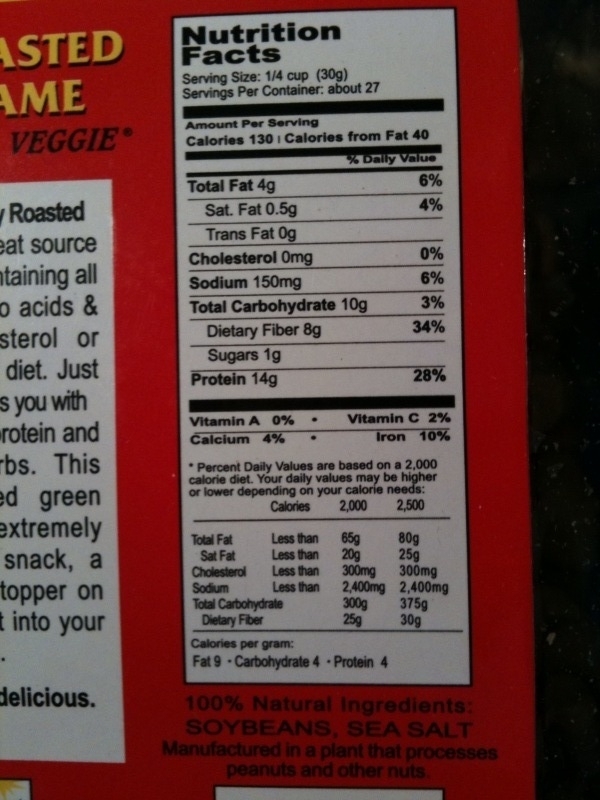 Edamame: “The Wonder Veggie” – WOW! I really don’t have much to say on this one.. have you had this Edamame stuff (specifically “dry roasted” edamame)? If you’re about eating healthy.. and like to get a good dose of protein and fiber in your day… CHECK OUT THESE NUTRITION FACTS! Long story short, I really don’t think you can beat that..
And if you have something that can beat this dry roasted edamame in terms of NO FAT – NO SUGARS – HIGH PROTEIN – HIGH FIBER… please tell me about it! 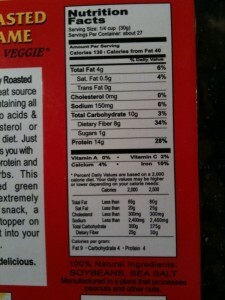 PS – look at the ingredients… no preservatives or anything! I buy this 29oz box from Costco. Author ArshamPosted on April 10, 2010 June 14, 2010 Categories HealthTags eating, HealthLeave a comment on Edamame: “The Wonder Veggie” – WOW!